The current President of The University of Texas at Austin, Gregory L. Fenves, has saw fit to recognize several individuals who have the distinction of being history makers, as 60 years ago they were the first African Americans to enroll at The University of Texas at Austin. The 60th Anniversary celebration will be held at the LBJ Auditorium, 2313 Red River, Austin, TX 78705, on September 9, 2016, from 3-5 pm. There were approximately 109 African American students who were a part of this esteemed group from Phyllis Wheatley, Jack Yates, Booker T. Washington and other schools in Texas. Some continued to graduate and some did not, while many others transferred to HBCUs to further their education and become productive citizens. These first African American students at UT paved the way for future African American students to attend the university. One of the former students being recognized on that day will be Willie Cleveland Jordan, Jr., one of the most well-known and respected African American architects in the Greater Houston area. Jordan is a member of both the American Institute of Architects and the National Organization of Minority Architects, as well as being a licensed practicing architect in both Texas and Indiana. Jordan has the distinction of being only the third African American architect ever registered in the state of Texas. One of the significant structures Jordan is most proud of is his having designed the current campus for his alma mater, Phillis Wheatley High School, in Houston’s Fifth Ward. Jordan is a 1956 honor graduate and Worthing Scholarship recipient of Phillis Wheatley High School. While at Wheatley, he excelled in drawing, drafting, and athletics. Because of his size, he was too small to participate in varsity sports directly; however, he was given the distinction of serving as the equipment manager for the varsity football team under legendary coach Frank Walker. Further, while developing his drawing and drafting skills, Jordan was mentored by two iconic Wheatley teachers, Mrs. Ethel Ladner who served as his art teacher and Mr. James Thomas who served as his drafting teacher. Together they helped Jordan realize that his talents in art and drafting could be merged into a productive career in architecture. Thus, it came as no surprise to those who knew him that he would become one of the first African American students, to both graduate from the University of Texas at Austin as well as receive a degree in Architecture there shortly after forced integration. After college graduation, Jordan worked for the legendary African American architect John Chase in Houston as well as some majority architects in the state of Texas. Jordan passed the Texas Licensure Examination on his first try. Besides working for some architects of note, he has been a co-owner of his own firm and spent many years in Houston developing an excellent reputation as the Director of Architecture for ESPA CORP and now as the Senior Architect for KCI that purchased ESPA CORP in recent years. Besides the current Wheatley campus, Jordan has been the architect of record for a number of well-known local structures, such as the Acres Homes Multi-Service Center, Kashmere Multi-Service Center, Health and Physical Education Building at Texas Southern University, the new Matthew W. Dogan Consolidated School in the Houston Independent School District, and the Lyndon B. Johnson Hospital, to name a few. Jordan was also a member of the design team for both phases of the construction of the George R. Brown Convention Center. Jordan is very active in both local and state professional societies in architecture and is very active in alumni affairs at the University of Texas in Austin. He belongs to many civic organizations locally, has mentored a number of minority interns in architecture through the companies that he has been affiliated with over the years, and visits with Wheatley students yearly to encourage those with talents similar to his in high school to consider a college major and career in architecture. 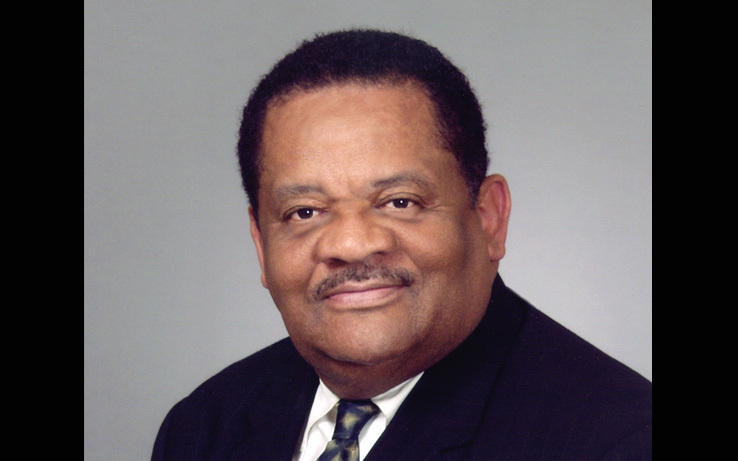 For all of his remarkable and noteworthy accomplishments, Willie Cleveland Jordan, Jr. was inducted onto the Phillis Wheatley High School Alumni Wall of Fame in 2012, and he stands today as a great testimony to the quality of African American students to graduate from The University of Texas in its long and storied history. Complimentary parking for the 60th Anniversary celebration of the first African American UT undergraduate attendees will be available in Lot #38. Those who would like to attend need to RSVP to ddce@utexas.edu.